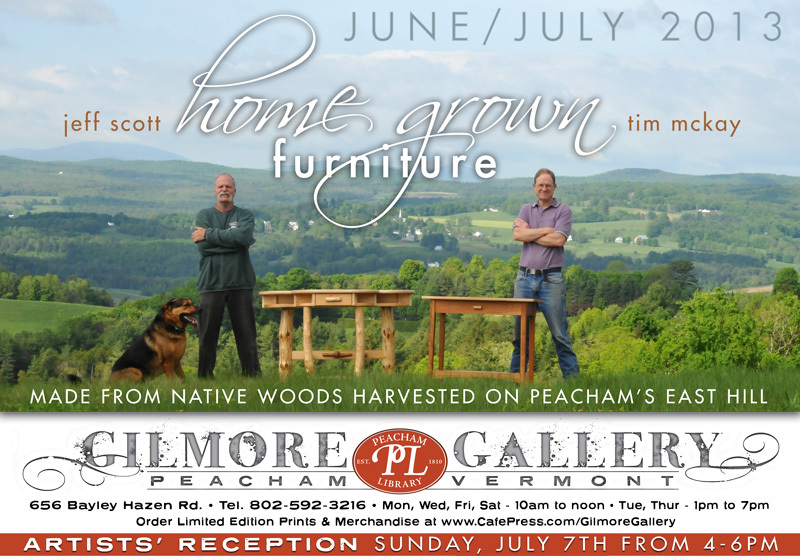 Home Grown Furniture features the woodworking of Peacham residents Tim McKay and Jeff Scott. All of the wood they use is grown and harvested on East Hill. An Artists’ Reception was held Sunday, July 7th from 4 – 6pm. Purchase limited edition prints and merchandise to support the library via the Gallery’s blog. Proceeds are used to offset gallery operating costs.